Jackie Gingras is a native of Calgary who arrived in the centre of the universe (Creston) about 4 or 5 years ago. Since her arrival she has discovered the excitement and joys of dirt bikes and kite boarding. However, music still has a grip on her imagination. At at Dusty’s Barndance in Calgary, in an establishment that was cheek by jowl with the Saddledome, she had many years of musical experience with the all girl band “RoseHip”. In that environment there was ample opportunity to perform with drop in musicians from all across North America. During that time the band became the favorite of the staff and crew of the TV series “Lonesome Dove”. She also performed with “Three Easy Pieces”, a band that included Therry Lawsen on guitar, vocals and bass and the now famous Jan Arden. Jackie has tons of stage experience and a large repertoire of songs and danceable music. Sprinkled in the mix is some of her original material. 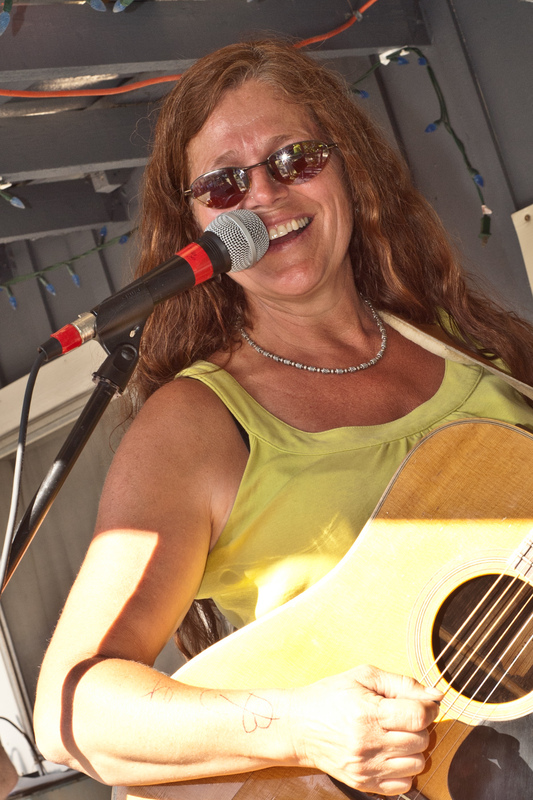 While living in Creston Jackie has become embedded in the local music scene and is a regular performer at the Snoring Sasquatch. wat up? u still playin’?